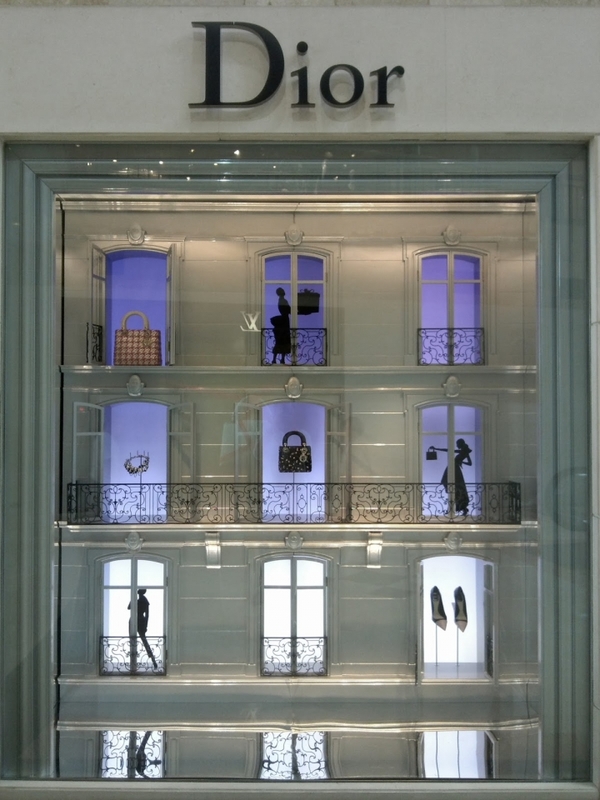 Dior Christmas display is one of the most beautiful window display I ever seen this recent years. 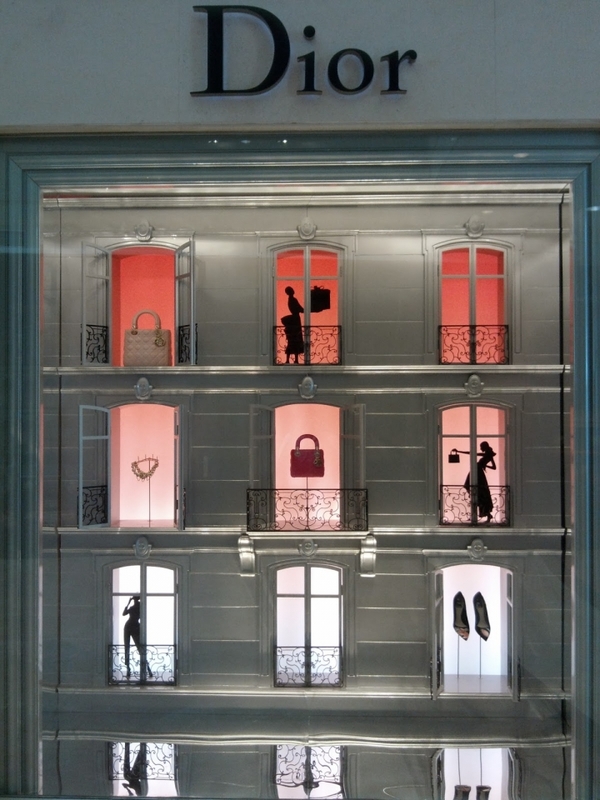 It shows a French style maison with its beautiful windows and terraces. 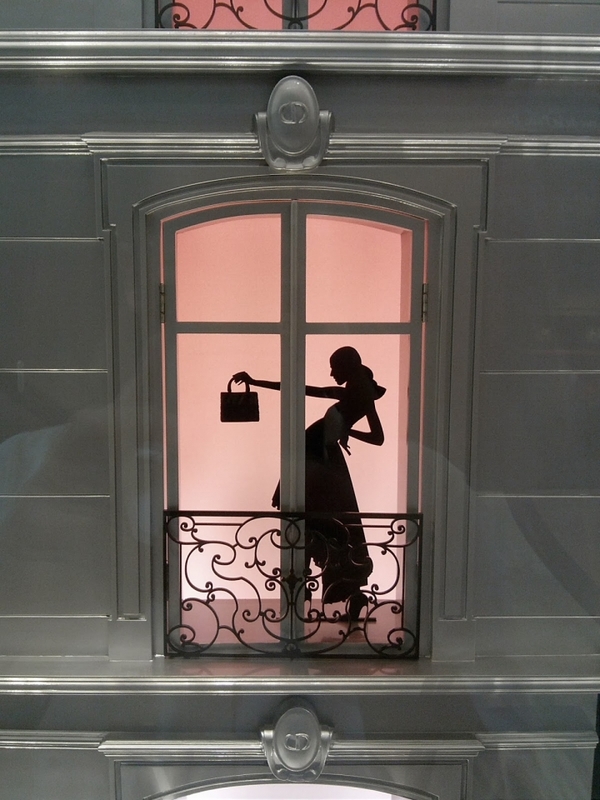 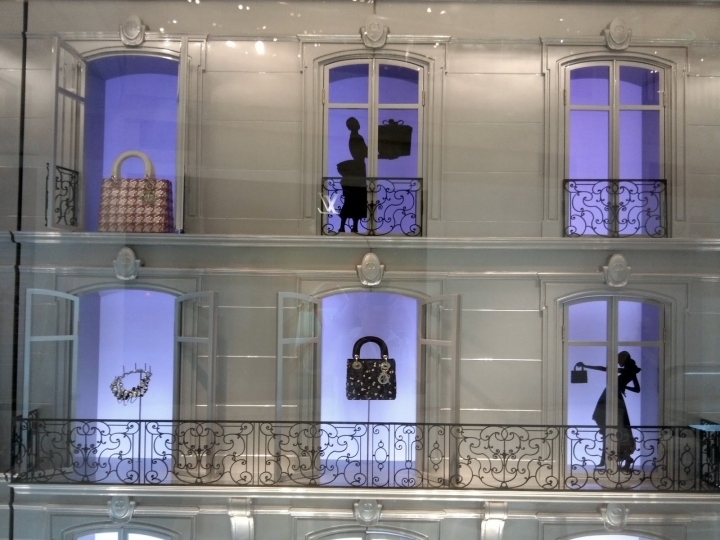 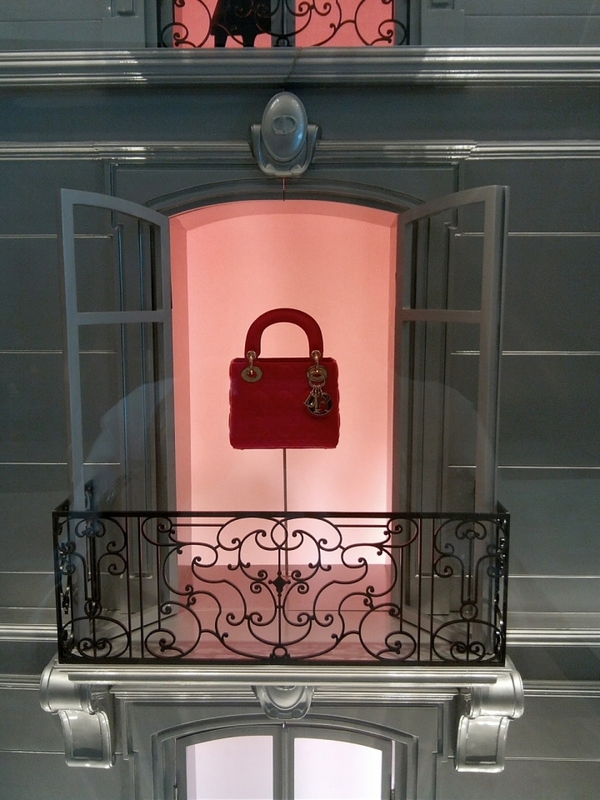 Each windows show either the silhouette of what is happening inside or the beautiful collection of Dior handbags and jewelries. 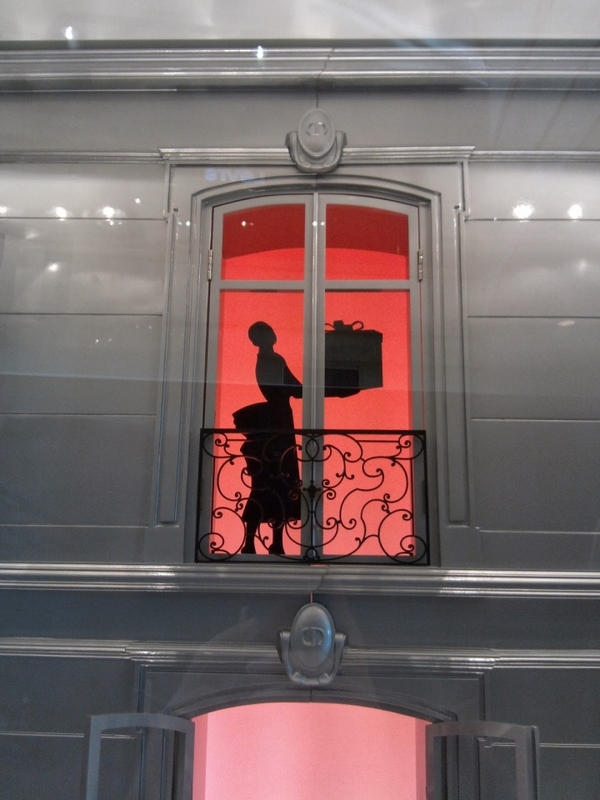 The gradient colors of red and violet add the beautiful nuance of this window.